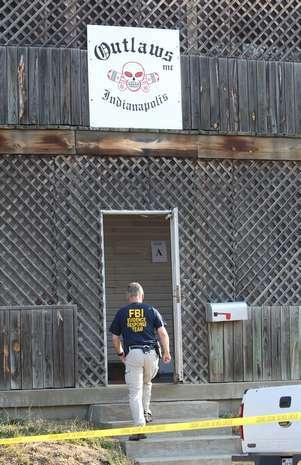 What is being hailed as the “largest federal bust of alleged g*** activity in Indianapolis’ history,” just went down at the Outlaws Motorcycle Club’s clubhouses in Indianapolis, Fort Wayne, and Gary. Evidently SWAT members cleared the way this morning for FBI and local authorities to come in and search the clubhouses and surrounding blocks. 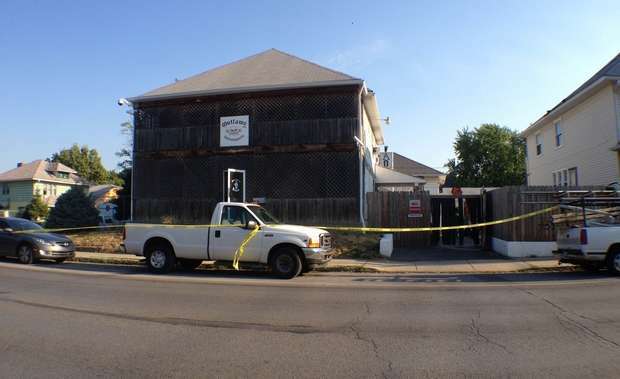 Evidence was boxed up and motorcycles removed from the premises’, but with the court documents remaining sealed, we are unsure as to exactly what the feds are looking for. However, we do know that there were 43 arrests warrants issued and ranges in charges from Racketeering to Mail Fraud. We also know that more than 300 federal and local law enforcement agents were involved in the bust. More info as it becomes available… there will be a new conference at 2pm local time.